An executive order makes the ban go into effect immediately. UPDATE (3/27/2019): Puerto Rico's governor Ricardo Rosselló has today issued an executive order banning conversion therapy for minors, effective immediately according to The Advocate. 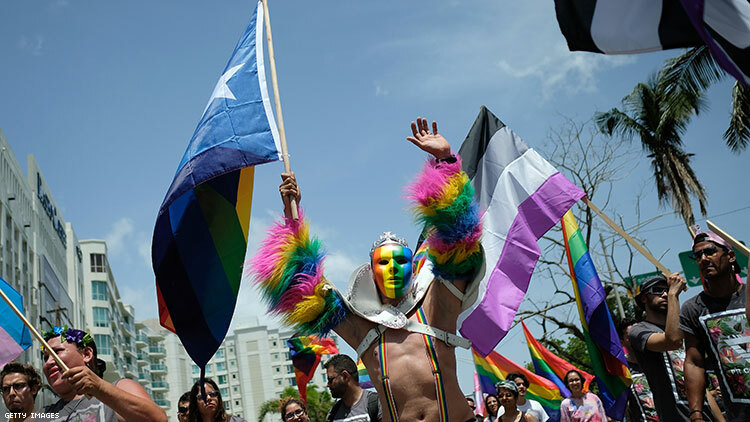 ORIGINAL (3/21/2019): The governor of Puerto Rico said Wednesday that he would sign an executive order banning conversion therapy on minors. “As a father, as a scientist and as the governor for everyone in Puerto Rico, I firmly believe that the idea that there are people in our society who need treatment because of their gender identity or whom they love is not only absurd, it is harmful to so many children and young adults who deserve to be treated with dignity and respect,” governor Ricardo Rosselló said in a press release according to Washington Blade. The governor who received a Ph.d. in biomedical engineering from the University of Michigan and has won awards for his stem cell research, added that conversion therapy has “zero scientific basis and causes significant damage,” during a press conference. Though Rosselló has not set a date on signing the executive order, the announcement comes shortly after Rosselló’s own party blocked a vote in the territory’s House of Representatives that would have done the same. The move adds Puerto Rico to a growing list of local governments who have signed similar legislation. In January, New York State became the 15th state to ban conversion therapy, joining the likes of Connecticut, California, Illinois, and New Mexico. Conversion therapy is a widely debunked theory wherein a series of discredited practices are used to presumably change or alter someone’s sexual orientation or gender expression. It has resulted in depression, drug use and suicide amongst minors. In 2018, widespread conversation about the discredited theory was resurfaced in films like Boy Erased and The Miseducation of Cameron Post, which made it a landmark year for the anti-conversion therapy movement.